Watching a loved one battle a declining memory can be extremely challenging. It is normal for all of us as we age to see a certain decline in our memory. However, when dealing with dementia or Alzheimer’s this decline becomes more pronounced. Although it can be painful to watch a loved one battle with these cognitive impairments, proper memory care can help alleviate some of the difficulties. If you have a loved one with a declining memory, read on for some practical ways you can help them as they face these new challenges. The first thing you should do to help your loved one with a declining memory is to educate yourself. Learn as much as you can about what they are facing. If your loved one is staying with us, please feel free to talk to our team about resources you can access. The more you know about the specifics of what impairment they are facing, the better equipped you will be to handle it. Are they simply suffering from normal memory loss due to aging? Are they facing a bigger problem like dementia or Alzheimer’s? Learn how to recognize the early signs of Alzheimer’s here. Not only will educating yourself help you better prepare for the road ahead, it will also improve your ability to empathize. Dealing with memory loss can be frustrating for you, but as you learn about what your loved one is facing, you will improve your ability to see how difficult this situation can be for them. The more empathy and care you have for your loved one, the easier it will be to tackle the frustrating moments. 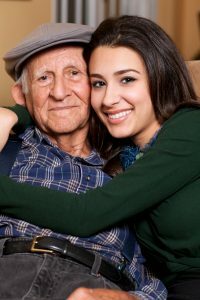 Although your loved one may need a lot more help with the day-to-day logistics of their life, make sure you include them in what is going on. No one wants to feel like their life is out of their control. Empower your loved ones to feel like they are involved in the decisions going on about their life. Even if it can be challenging at times to work with them, stay patient and remember how important being actively involved in your own life is to you. Keep in mind you will need to be flexible about what they can handle each day. Sometimes they may feel capable of doing a lot for themselves, and other days they might need a little more help. Do you come to visit your loved one at our facility? 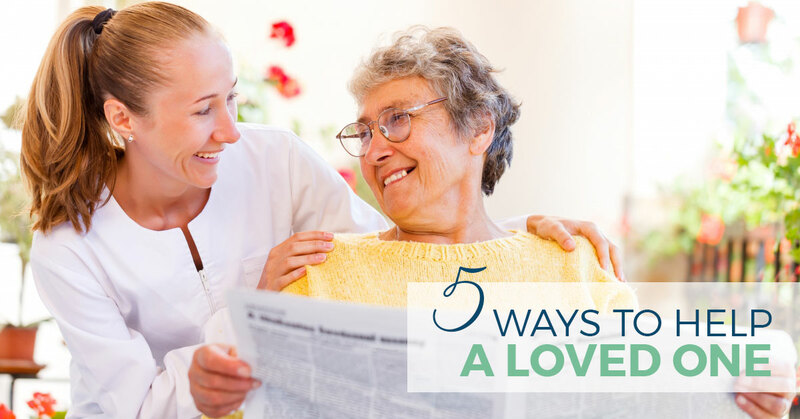 We encourage loved ones to come visit residents as often as they possibly can. These visits very likely mean the world to your loved one. As memory declines, it is important that you stick to a routine. Schedules help someone with memory loss feel more secure and less anxious. Plan the days and times that you will visit your loved one out in advance. Give your loved one a calendar with the times and days they can expect you clearly written out. Then, stick to that schedule. Even if it takes juggling on your part, do your best to be there on the exact days and times you have said you will be. Surprises and disappointments can be extra difficult for someone with memory loss to handle. Their world is already challenging and often confusing. Having a set schedule helps alleviate some of the confusion surrounding their mind. Even if your loved one repeats the same story over and over again, remain patient. If they have an emotional outburst, which isn’t uncommon for someone suffering from memory loss, stay calm. Remember, most of the behavior that can be difficult to handle is simply a symptom of their own confusion and frustration. If you need to take a moment to collect yourself, step away and avoid expressing your annoyance to them. Lastly, take care of yourself. It can be emotionally draining to watch a loved one who is suffering from a declining memory. Connect with support groups. Spend time with friends who can encourage you and listen to you vent. Remember how we said above not to express your frustrations to your loved one? That doesn’t mean you need to bottle up your emotions. Find people you can trust to be the support you need. Don’t beat yourself up if you lost your cool. Take care of yourself and give yourself the leeway to be human. Need help caring for a loved one with a declining memory? Click here to learn more about our memory care program.